IP finance: Wu Is To Us: Does Apple Have a Monopoly? Circumstances have conspired to keep me away from the blogosphere for the better part of the last month. With this blog post, I am pleased to be returning to IP Finance. What has particularly captured my attention of late is the multi-polar contest between Google, Facebook, Apple (and perhaps a revitalised Microsoft). What makes this struggle particularly interesting is that each of these companies seeks to gain and maintain a formative position in the online world from a different set of competitive strengths. "Well, this is what's so interesting--you have seen the same cycle repeat itself. Radio in the '20s, it was the new tech, and anyone could start a radio station. Film in the 1910s opened up. So these industries, once there's this new invention, go through incredible, exciting periods. The Internet had the same thing in the last 20years ... anyone who starts a company becomes the next billionaire. If you look at most of these networks, social networking, Facebook; search engines, Google; downloading content, basically Apple. In most online content, Apple's iTunes has a monopoly. So we're getting to an age where you can talk about a sort of Big Three or Big Four." Even given Wu's formidable intellect, I remain unconvinced. Let's drill down a bit. As part of the published interview, Charlie Rose observes that Wu argues in his new book, The Master Switch, that the iPhone and iPad [and one wonders--the iPod before that] represent a business model similar to the Bell System. To which Wu replies--"Right ....". With all due respect, I simply don't see how the iPad is, or can ever be the monopolistic equivalent of the Bell System. We have alternative proprietary operating systems, as well as the open Android system, in the smartphone space. The tablet world, which overlaps the smartphone product line to some extent, also has its open source operating system challenge as new tablet entries continue to come on to the market. In truth, it seems that Apple's major concern is how it will continue to be dominant in the light of Steve Job's illness (not to speak of the fact that in the 1980s, it was Apple's closed system approach to its PC line of computers that nearly brought the company down in competition with the WinTel "monopoly" in the non-Apple desktop world). the "gatekeeper" for information via search, and Apple as the "gatekeeper" for creative contents to be used on various platforms, I would worry more about the former than the latter. Maybe the ultimate problem here is one of language. Many years ago, Richard Posner tried to teach me Antitrust Law in law school. 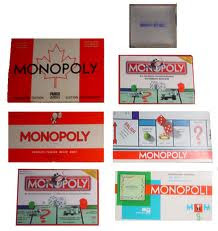 Whatever I remember from that experience, one thing still stands out--"monopoly" is a term not to be used easily. Wu may have a legitimate concern about the centrality of Apple, Google and others in the online world, but I simply don't see how his concerns, even it taken at their collective most severe, give rise to the kind of monopoly enjoyed by Ma Bell in the U.S. The online world seems to be to be fundamentally different and our lexicon should reflect those differences.